I love making stock. It's thrifty because you get extra use out of poultry bones and vegetable peelings, plus having homemade stock on hand makes so many things taste better, from soup to stews to pasta sauces. If you deglaze a pan, homemade turkey stock, booze of some kind, and butter will create an eye-rollingly good sauce in mere moments. One task I do not love? Figuring out how to skim the damn fat off the stock (or soup) after I've made it. It's necessary to skim the fat as you boil down stock to preserve the integrity of the flavors. You want the pure, meaty essence of the bird and the earthy goodness of the vegetables to shine through, not the fat. So there's no way around the task, but let's be frank—skimming the fat can be a major pain in the tush. 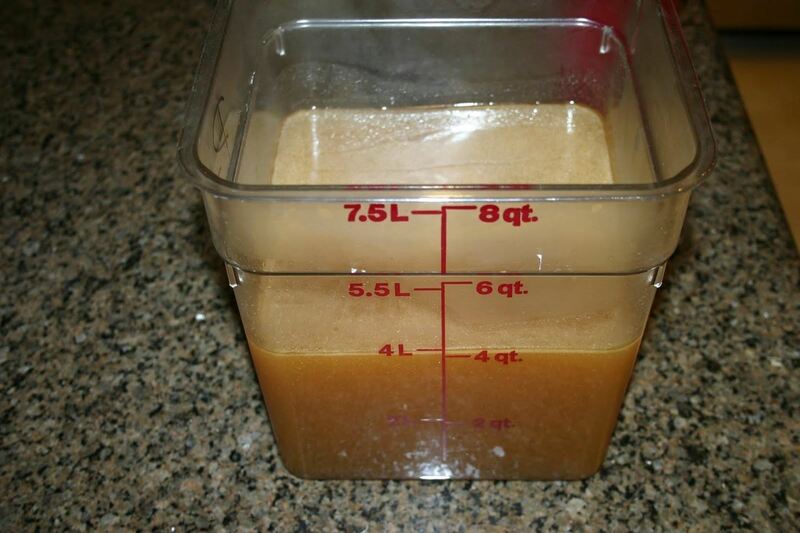 Plus, it feels wasteful since you inevitably scoop up quite a lot of broth along with the fat. 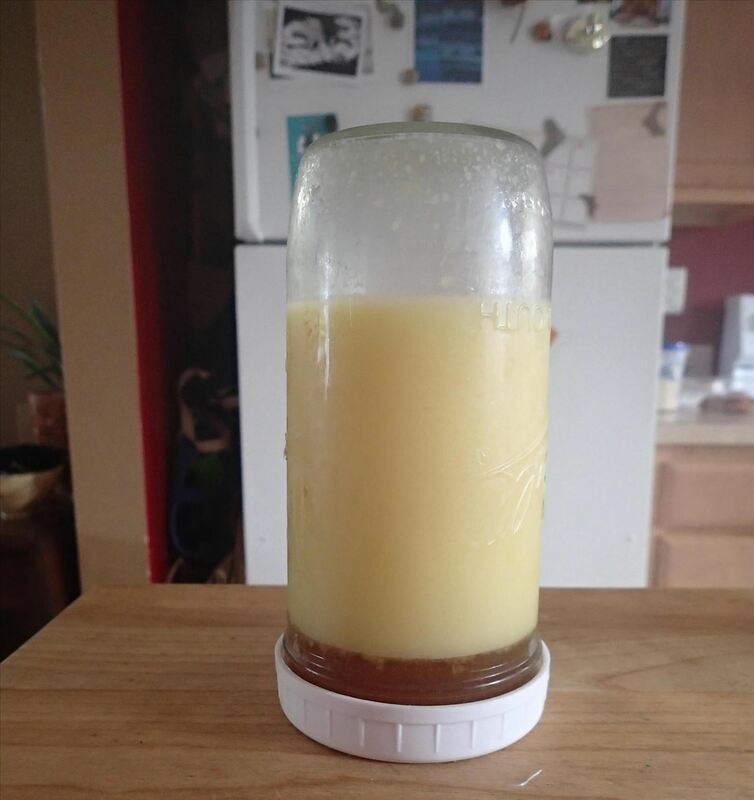 Fortunately, canny Reddit user Tsultrim-Surgery posted an ingenious way to separate fat from meat drippings where she pour the cooled liquid from several chicken thighs into a jar, then stored it in the refrigerator upside down. 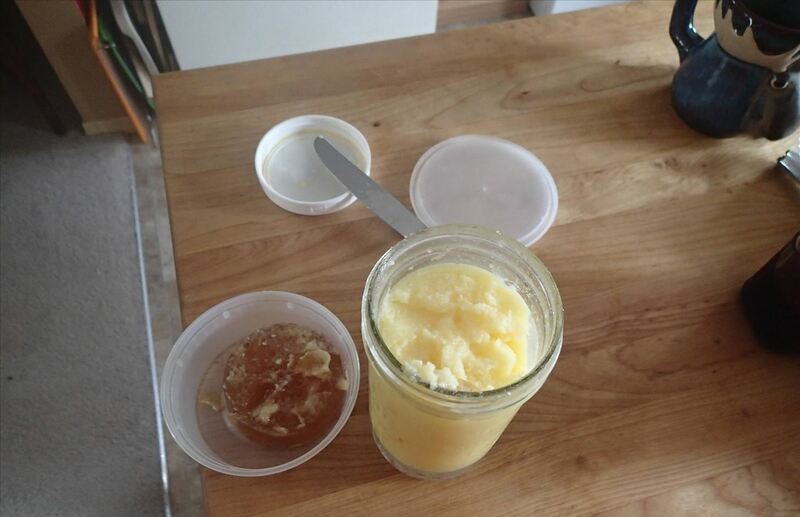 The fat will solidify, but when you open the jar, the gelled meat drippings will be on top. 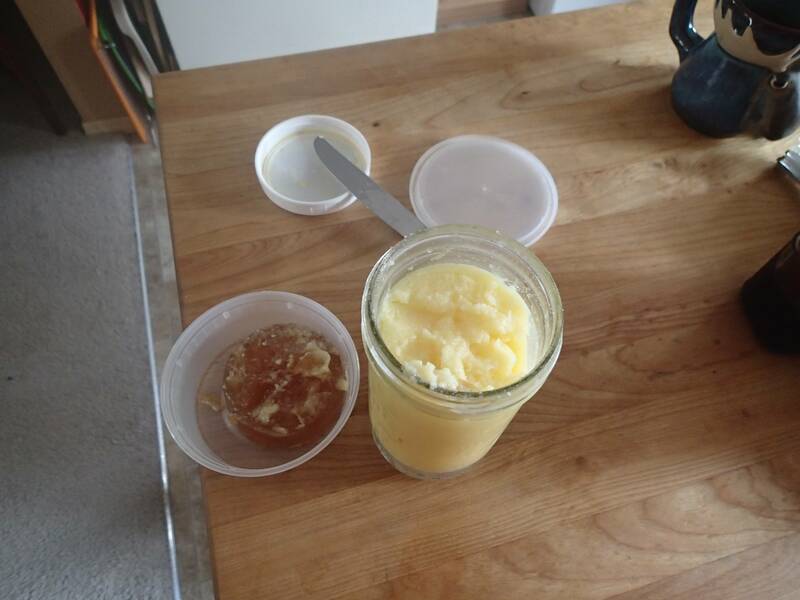 If it's gelled into a solid, you can scoop out the stock with a spoon. The added benefit is now you have some useful fat to keep for cooking, much the same way you would bacon grease. You can see pictures and read the thread here for more info. One caveat is that using this method works best with small batches of stock or soup that have a large amount of fat in them. If you're making quarts or gallons of the stuff with relatively lean cuts of meat, you need to find other ways to get that stuff out of your liquid and into a jar. Fortunately, there are tons of great suggestions, including these classic culinary school methods from Saveur. 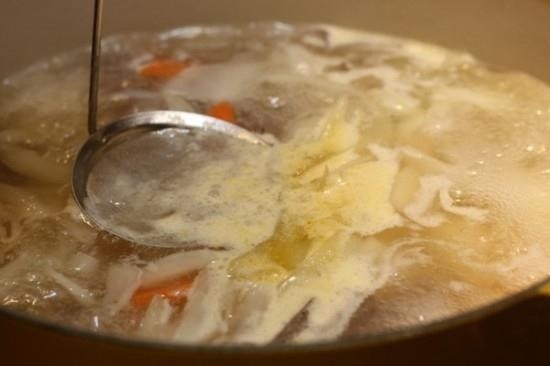 The basics (using a fat separator, chilling soup overnight and skimming the fat that rises to the top), which home cooks have been using for decades, are outlined by Better Homes and Gardens. 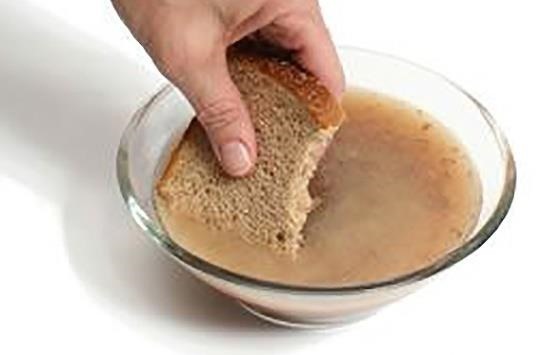 If there's a small amount of fat floating on top of the liquid, you can use a paper napkin or a piece of white bread to soak it up. You can also remove the stock from heat, wait until it cools a little, then throw in an ice cube. The fat will coagulate around the cold ice cube and make it easier to lift out. 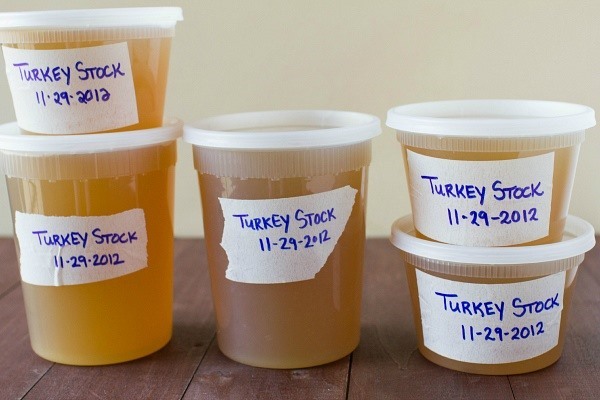 What tricks do you use to separate fat from stock?